How/When do I Perform a Spindown Calibration on the KICKR SNAP? Before performing the spindown, you will need to make sure you bike is set up correctly. Please see this instructions page for details. The KICKR SNAP can be calibrated with the Wahoo Fitness app as described below, though other apps like Zwift, Trainer Road, and Kinomap also support this feature - consult the app developer for further help with spindowns in third-party apps. IMPORTANT UPDATE: For KICKR SNAP '17 (identified by external LEDs near the flywheel), calibration is based on proper roller tension and tire pressure - please ignore information regarding spindown times and roller adjustment in the following video (note: these instructions are still applicable to the original KICKR SNAP). If this is your first time using the KICKR SNAP, you may be prompted to perform a Factory (or Advanced) Spindown, which is required for accurate calibration and performance. A normal spindown is recommended for the KICKR SNAP before every ride. For more information on our app, see Wahoo Fitness iOS App Instructions. 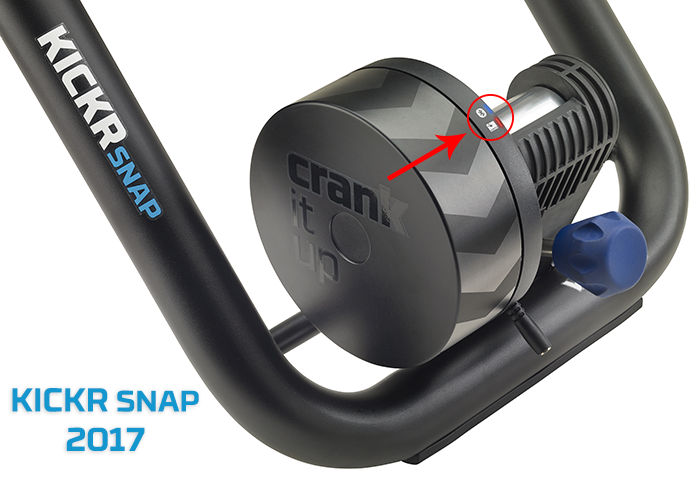 Plug in your KICKR SNAP Power Trainer if you haven't already. Ensure Bluetooth® and location services are turned on and open the Wahoo Fitness Android App. Select the "Sensors" button from the Home Screen to find your KICKR SNAP. If already saved, select the KICKR SNAP shown. Otherwise tap the + to search for it. Once your KICKR SNAP is selected, find the "Spindown" button on the "Device details" page. How do I Attach My Bike to the KICKR SNAP?